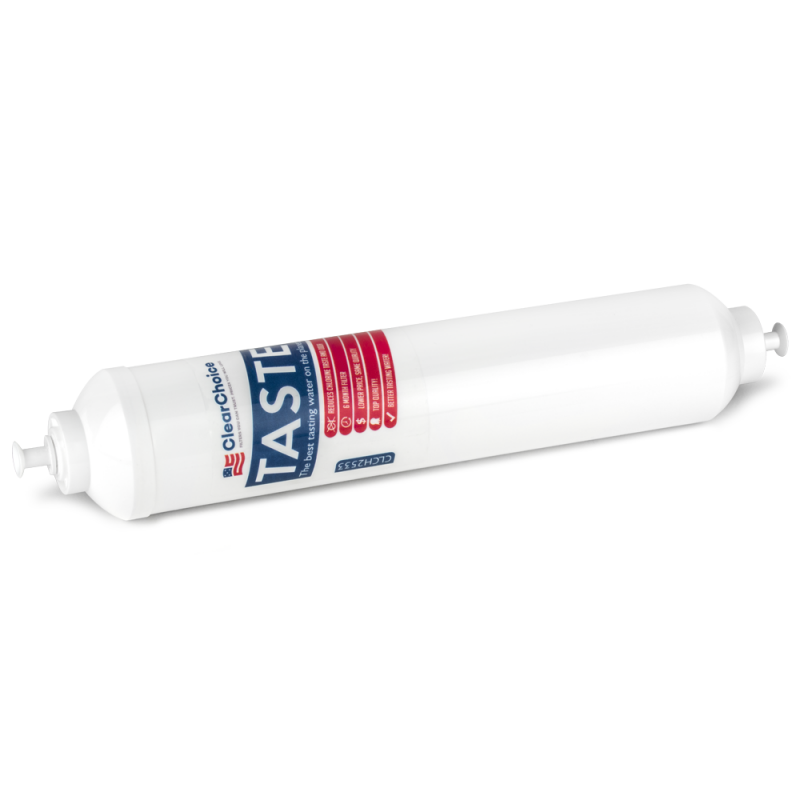 If your refrigerator does not include a built-in filtration system - you might be using an "inline" filter. 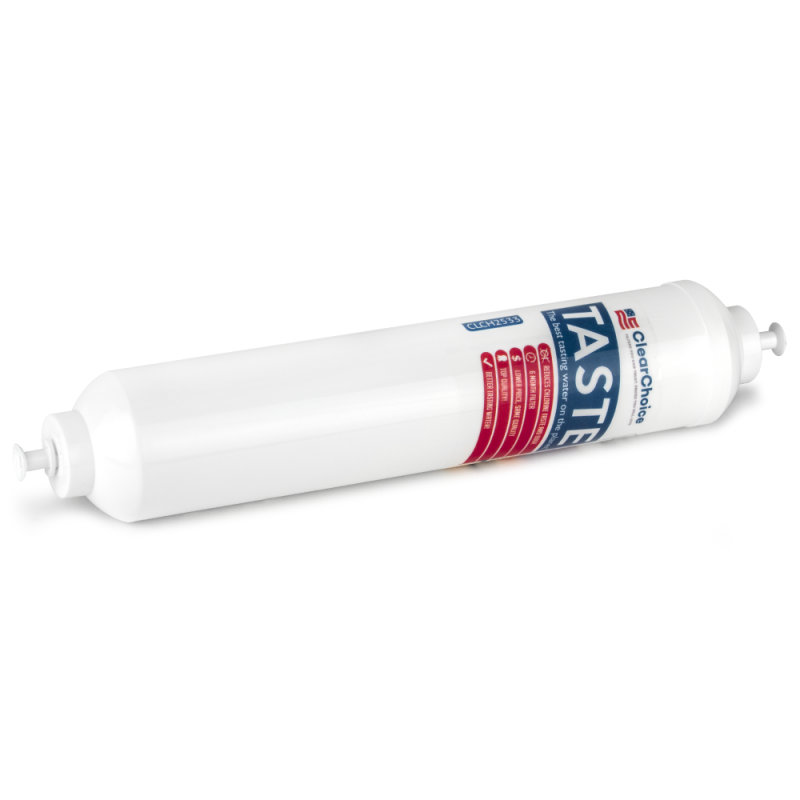 An inline filter connects to the incoming water line for the refrigerator and filters the water that feeds the ice machine and water dispenser. 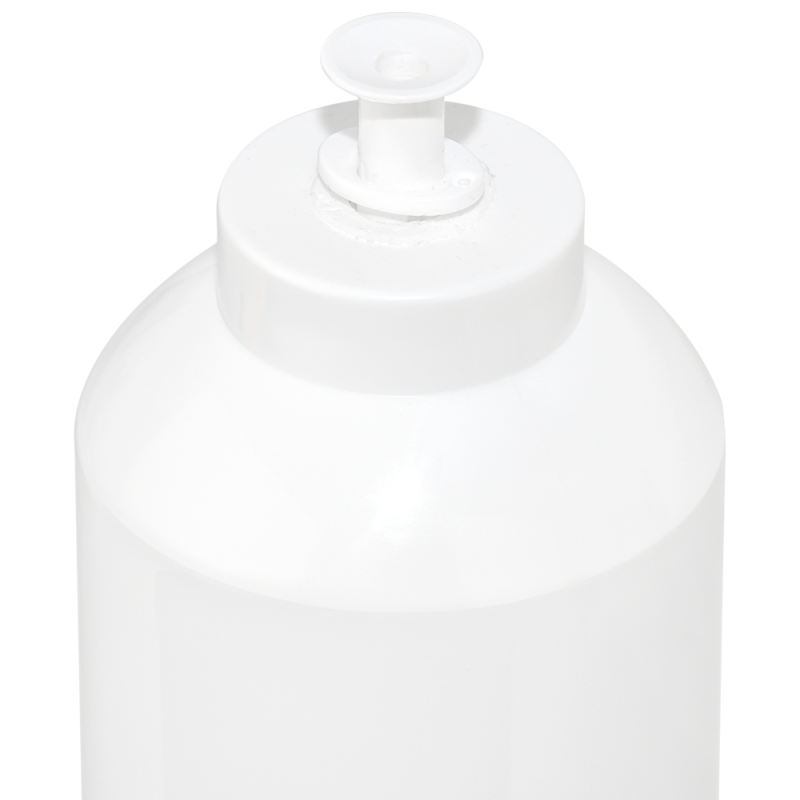 You will often find an inline filter on the back of the refrigerator. 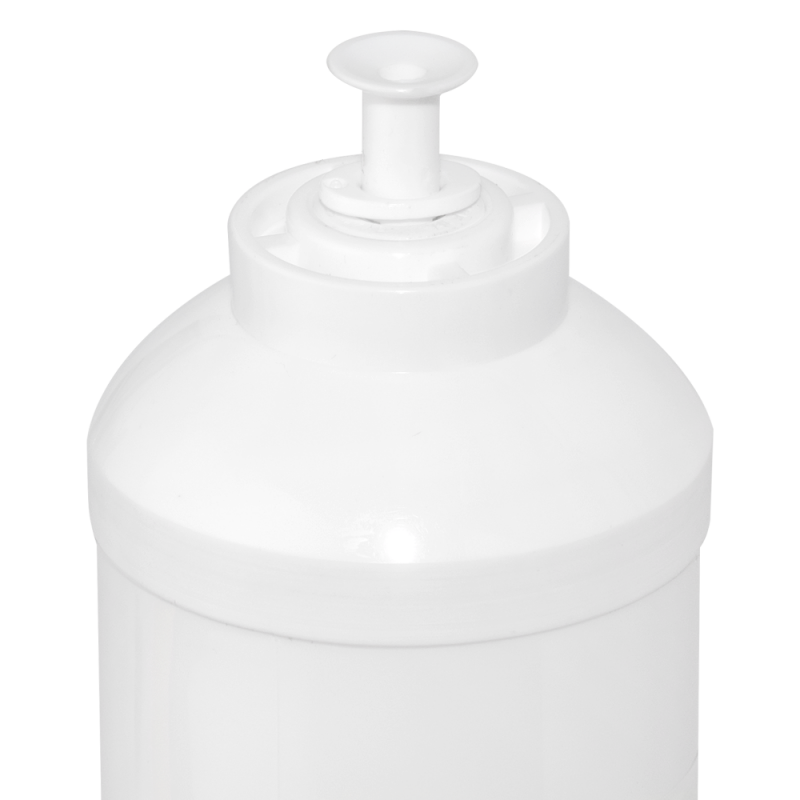 The CLCH2533 is a universal replacement for many 10" filters. 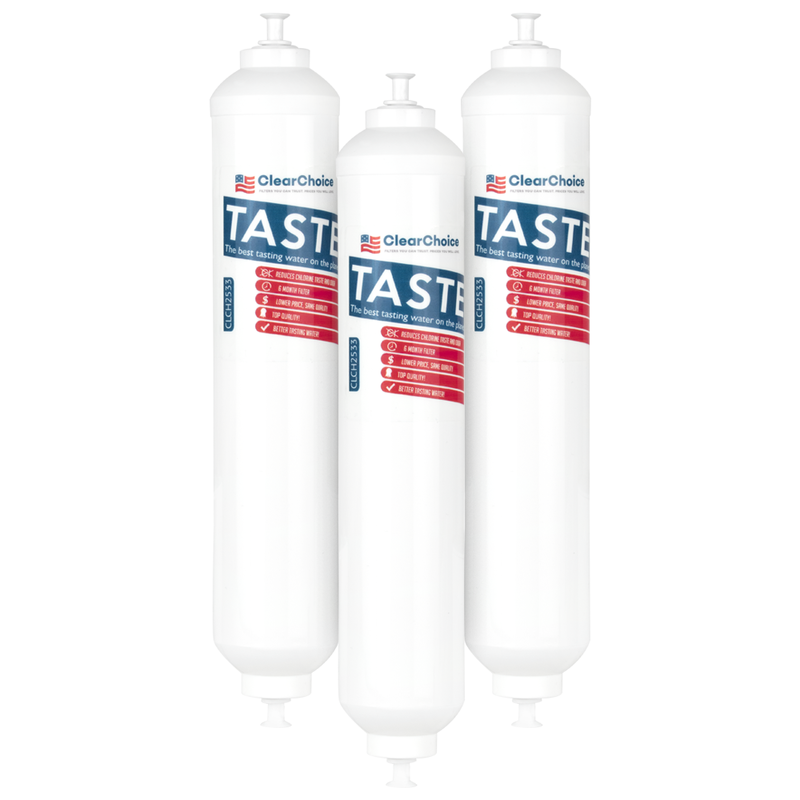 The CLCH2533 filters comes with 1/4" "Quick Connect" ends, which will accept any 1/4" plumbing supply line - copper, poly, or cpvc water line. Simply push the line into the end of the filter - and you are done! The CLCH2533 uses coconut shell granular activated carbon technology to reduce unpleasant taste and odors. 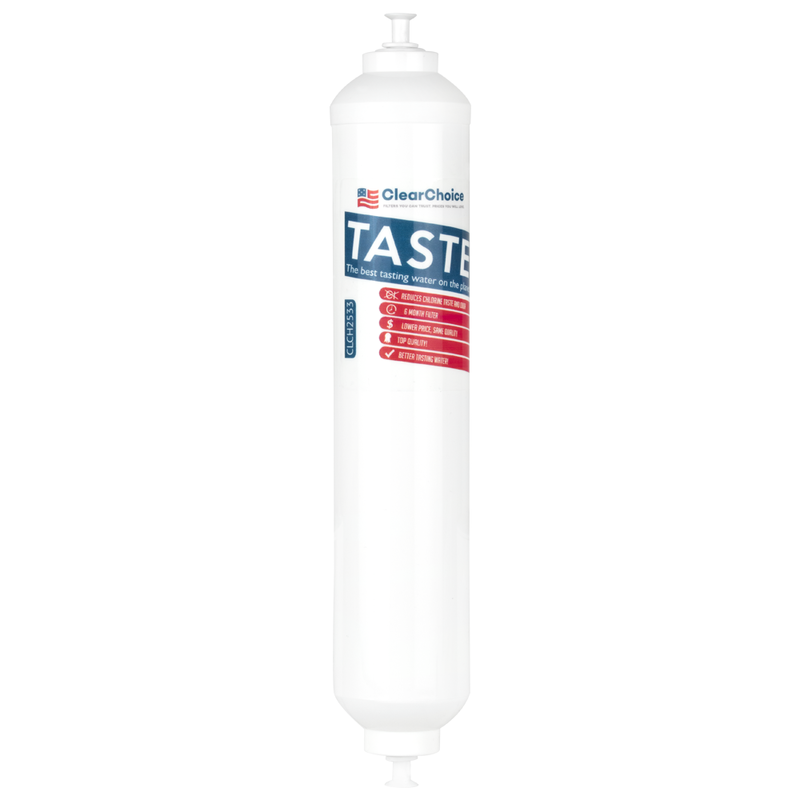 The CLCH2533 is a universal "inline" filter that can connect to any 1/4" OD water line. Videos help, so Click Here for our video on how to install the CLCH2533 filter. 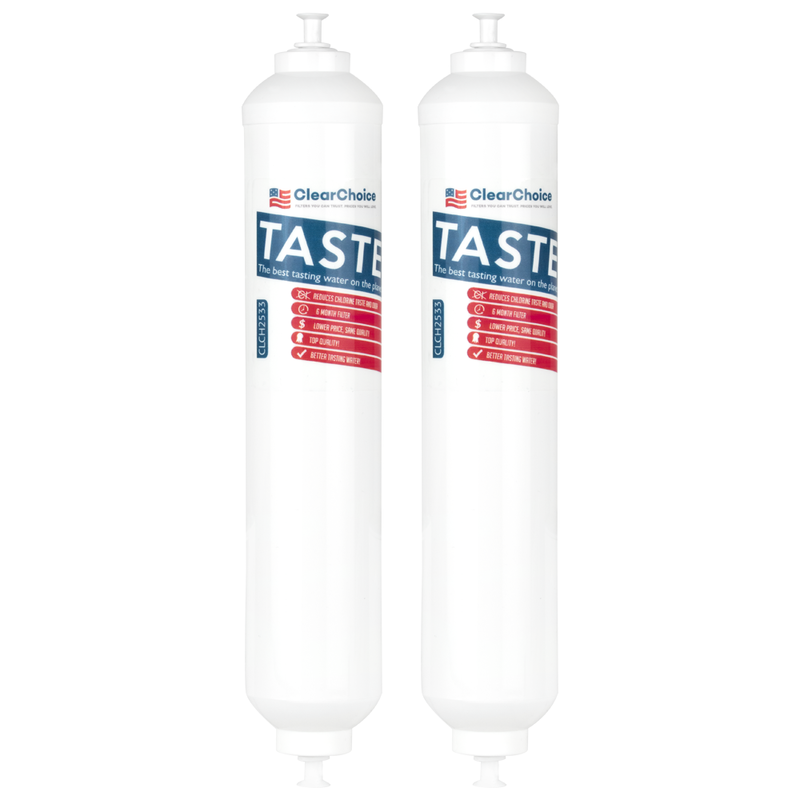 How To Install The ClearChoice CLCH2533 Filter:How To Install Filter? After I consulted with Customer Services, I ordered another filter that fixed my fridge. I thank you your excellent customer services due I have the right filter and it’s wirking perfectly. Good filters, have used them before and everything is good. Takes a long time to process and send the order. Product works well. This is the third replacement, easy to install, instructions are good. Cheap but no support! I dnt have anything to say except disappointed with no support! Great Buy ! Makers & Rocs ! Didnt get the clip thing on ends at first, but your rep helped me get this on copper tubing that feeds my humidifier and makes my expensive water panel filters last twice as long as before. Kudos to the gals that field service questions! Fast service, good quality product and the best price to buy filters. The three pack is the way. Great company and products. I would refer to family and friends.. Great customer service too! Best thing about these filters is that they pop on and off without adapters, tools and swear words. Seem to make iron taste in my water less noticeable and last a long time. Excellent service for shipping and returns when they sent the wrong size.